What Goes Into Your Pencil? Home › Attitude and Mindset › What Goes Into Your Pencil? When was the last time you really thought about your pencil? It sits on your desk until you need it. Let’s face it, you probably take it for granted. Take a moment and think about what had to happen for that pencil to get to you. Graphite had to be mined and refined. Lumber has to be chopped down and milled. The graphite and wood have to be transported to the factory. 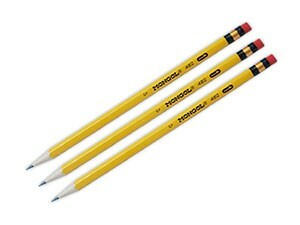 The pencil is manufactured, packaged and shipped to the retailer. That’s all before you purchase it and it arrives at your desk. Why are we examining a pencil? That pencil is just like your business. Your customers don’t know what goes into the products or services you provide them with. They don’t know how you agonized over each detail. They don’t know how many people it takes to make everything run smoothly. What’s more is that, just like it didn’t matter to you what went into your pencil, it doesn’t matter to them what goes on behind the curtain. The point of this is that you know what goes on in your business. You know what each step costs and how much effort goes into it (or at least you should). Your customer knows two things: what they get and what it costs them. You need to take all that knowledge about what goes on behind the scenes and use to illustrate how much value they get. That value is what matters. While you’re at it, think about how much value you’re getting out of that pencil.